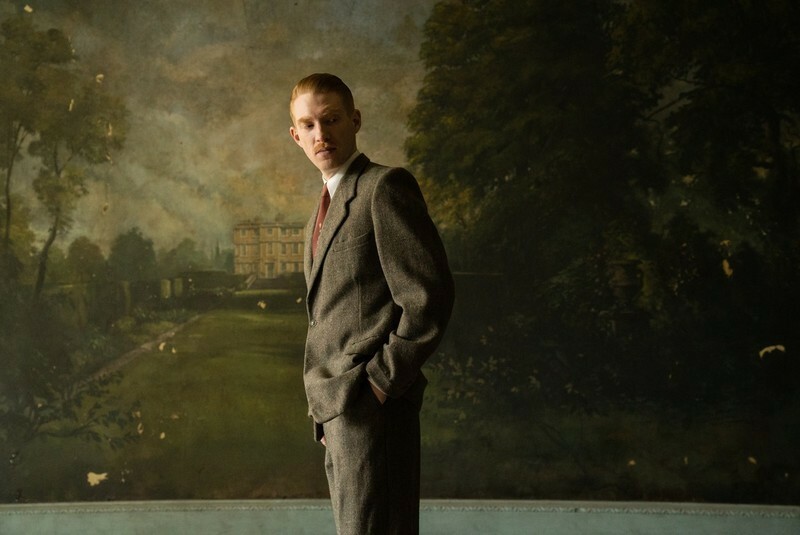 There's a sinister secret nested snugly at the center of Lenny Abrahamson's "The Little Stranger." In trailers, this adaptation of Sarah Waters' novel seems a spooky haunted house tale set in the austere decadence of early Windsor-era England. For most of its runtime, the film appears a gothic romance in which the mild-mannered Doctor Faraday (Domhnall Gleeson) must combat the unknown evil inhabiting the illustrious Hundreds Hall so he might marry its gruff but lovable heiress, Caroline Ayres (Ruth Wilson). But the haunting final image of "The Little Stranger" reveals something more cerebral and starkly feminist is at play within this unconventional horror story. "The Little Stranger" reveals the Ayres tragedy through the eyes of Faraday, a "common village boy" who grew up in the shadow of Hundreds Hall and became a respected doctor with a gentleman's manners. Through a reserved voiceover, he introduces audiences to the once affluent family whose fortunes have fallen—as their once pristine home has—into ruin. Still, Faraday is enchanted by the old house and by Caroline, a "terribly brainy girl" on the verge of spinsterhood, having squandered her promise and youth looking after her mother (Charlotte Rampling) and war-wounded brother Roderick (Will Poulter). Stoic and stalwart, Faraday provides a shoulder to cry on, a voice of reason, and even his hand in marriage. But he is not to be trusted by the Ayres or us. For Faraday is not the romantic hero he paints himself as, but an unreliable narrator and the source of the spiteful spirit that torments the Ayres to death because of a ferocious form of toxic masculinity. The final shot of the film reveals that the poltergeist of Hundreds Halls was a manifestation of Faraday's decades-long desire to possess the grand home. His passion for the place grew into an intense sense of male entitlement, believing deeply he was owed the thing as a reward for wanting it so desperately. And so a territorial and violent force was sparked. Over drinks, a colleague explains that extreme negative emotions can cause a subconscious break that could birth a poltergeist. For Faraday, this fateful moment occurred 30 years before, when he first snuck into the exquisite foyer of Hundreds Hall and broke a plaster acorn from its elaborate décor. In flashback, a foreboding rumbling precedes the horrid crack of plaster. Recalling it to Caroline, he rationalizes, "I wasn't trying to vandalize. I was overcome." Faraday compares himself to a lovesick man stealing a lock of hair from the woman he fancies. Caught up in his own desires, he ignores the violation and theft entailed in each act, reframing it as romantic and himself as the helpless victim of passion. As absurd as it seems, Faraday basically victim blames the house for his violation of it, suggesting Hundreds Hall was dressed too provocatively to be left unmolested. Faraday believes his passion for the house excuses this crime. But there will be more. And they will become more violent. The first victim of his poltergeist is young Suki Ayres, punished for witnessing his embarrassment at being slapped by his mother for his vandalism. Mrs. Ayres notes that was the very day her beloved first-born became mysteriously ill, before withering away to death. While Faraday went off to grow up and become a doctor, his poltergeist has lurked in the house, quietly resenting its residents. Upon his return to the village, the paranormal activity at the Hundreds Hall becomes more aggressive, a coincidence Caroline remarks on without understanding its significance. It was a poltergeist outburst that led to Betty calling for a doctor, which brought Faraday to the Ayres door. Every paranormal event after that can be seen as violent retaliations whenever Faraday feels rejected. The first comes during a cocktail party, where a little girl is abruptly mauled by Caroline's dog. The timing suggests this is no accident. Though the girl has been pestering the pet relentlessly, its off-screen attack occurs the moment after Faraday realizes the event is a matchmaking setup meant to pair Caroline with an arrogant, new-money ad-man. The hurt to his pride is taken out on the pretty blond girl, just as it was with Suki. The gruesome and inexplicable assault benefits Faraday three-fold. It scares off the would-be suitor, gives the doctor a chance to impress by swooping in to mend the wounded child, and offers an excuse to euthanize Caroline's beloved pet, eliminating one more rival for her affections. Whether Faraday realizes it or not, he is working in tandem with his poltergeist to achieve Hundreds Hall. When the polite and socially acceptable methods fail, his subconscious lashes out in violence. And their next obstacle and target will be Rod. Through voiceover, Faraday expresses a thinly veiled disdain for the limping man of the house, sneering, "I couldn't help but think the house deserved better." Implied is that Faraday is the better the house deserves. After all, Faraday is a dapper and dashing gentleman, while Rod a marred, drunken recluse with no hopes of finding a wife. Using his position as a trusted friend of the family and respected doctor, Faraday pushes to have Rod committed, arguing his plans to sell off part of the estate are deranged. When this fails, his poltergeist sets Rod's bedroom ablaze, nearly killing him and making him seem an unhinged danger to himself and others. So, Mrs. Ayres and Caroline take Faraday's recommendation and have their lone male heir exiled. The very next scene shows Faraday, smiling like the cat who caught the canary, as he cuts the Christmas roast. Blithely taking over the role of man of the house, he rejoices in voiceover, "It made me feel—just for a moment—a part of the life of the house." With Rod out of the way, Faraday ramps up his efforts to woo and wed Caroline, taking her to a dance, where his POV shot of watching her dance feels ominous, like a predator zeroing in on his prey. "What the house needs is a dose of happiness," he crows in his marriage proposal. But after Mrs. Ayres makes it clear that Faraday would only get this house over her dead body, his poltergeist terrorizes her with chilling sounds and vicious cuts, driving her to suicide. And once Caroline rejects him too, her death is imminent. After she breaks off their engagement, Faraday laments, "Hundreds Hall was lost to me … as was Caroline." At this moment, our unreliable narrator's true priorities are laid bare. This was never a love story about boy meets girl, but boy meets house. Caroline was a tool to him. That the object of Faraday's desires is a house and not actually Caroline emphasizes the dehumanizing nature of male entitlement, as entitled men do not regard the women they crave as people who have autonomy and the right to reject them, but as a thing they can grab. Their desire outweighs the feelings of its object. But once Faraday realizes that his manipulations and social niceties have failed to win him the prize of the girl—and by extension the house—his cool veneer cracks, unleashing into a flurry of fists and shouting in his car while his poltergeist pushes Caroline to her fatal fall off the balcony. Through his plaintive voiceover, Faraday would have us believe that he is a romantic hero who fought for love and lost. He and his poltergeist never come face-to-face in the film, so perhaps he truly believes it. But "The Little Stranger" sees through his subterfuge. For even if Faraday is completely ignorant of how his true intentions influence the poltergeist, he knowingly uses his position of power as a doctor, a friend, and a gentleman to manipulate the Ayres to reach for his goal, no matter the cost. Yet there are moments where it seems he has some hint. Looking back on his first day at Hundreds Hall, Faraday says, "I could not help but imagine I belonged. A proper little gentleman. Of course, I was no such thing." On the surface, it appears he's speaking about how his clothes made this commoner seem suitably posh. But on reflection, this line also speaks to his façade of gentility in adulthood. Outwardly, Faraday is calm, patient, and magnanimous toward the Ayres family. Hidden is his dangerous dark side that would rather see them dead than reject him, that would rather see Hundreds Hall abandoned than without him. Worse still, Faraday gets away with all his crimes, because who would believe such a nice, respectable man could be capable of such evil? 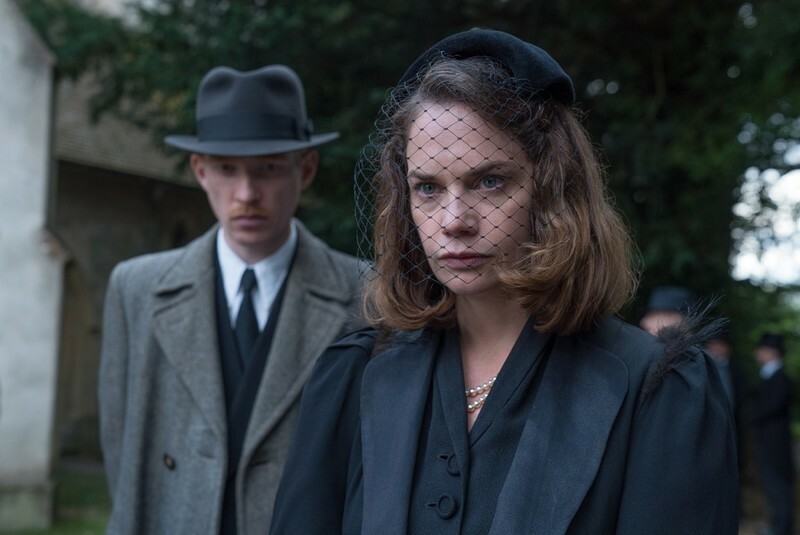 "The Little Stranger" is a horror story not about evil spirits or haunted houses, but about the too real terror born from toxic masculinity, which blinds men to their trespasses and threatens women with objectification and violence. The film sounds a warning, begging some to look past the nice guy veneers, and others to search the darkest corners of their desires. For we are not always the heroes we imagine ourselves to be.